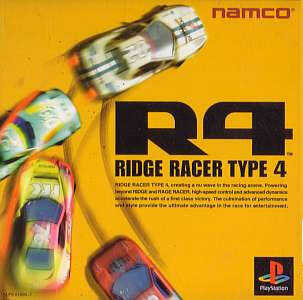 The Ridge Racer series bridges the gap between home and arcade as never before and modern racers have a mighty debt to Namco. Clever programming and use of textures produce a very admirable replica of the coin op cruiser. 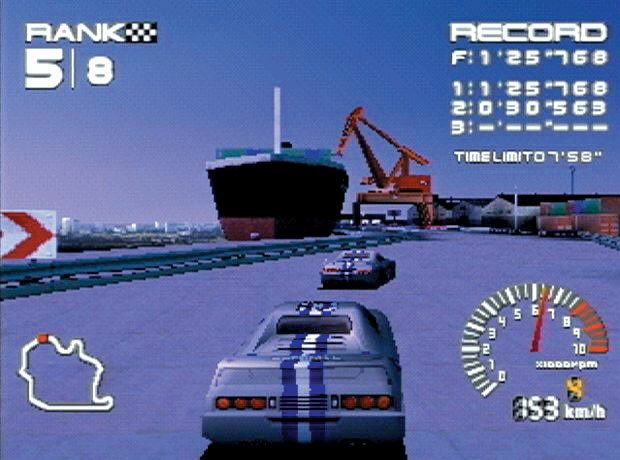 Still just as fun as it was back in the hey day thanks to easily accessed play mechanics. Second hand. 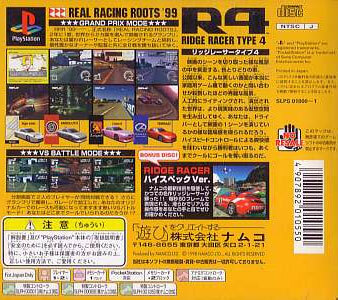 Comes with bonus disk containing the Ridge Racer Hi Spec Version and the Namco Catalogue 98. Disk scratches.